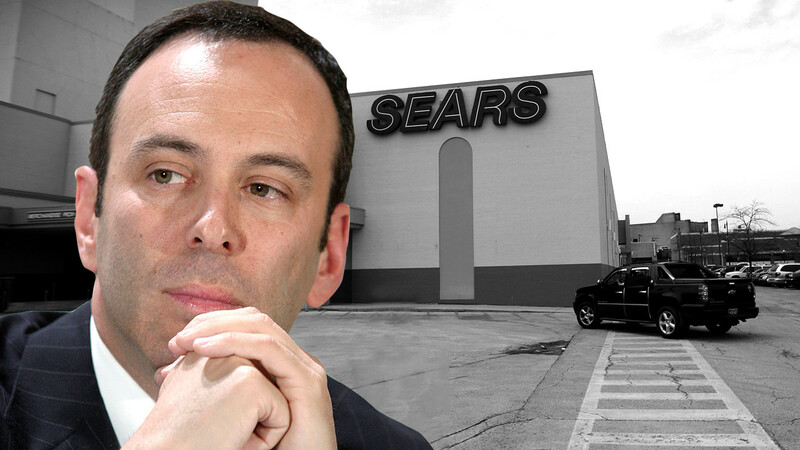 Can Eddie Lampert save Sears? Probably not, say most experts, despite years of maneuvers and machinations to keep the storied retailer afloat. Long a mainstay of the U.S. retail landscape, Sears is still suffering massive losses and declining sales, and many believe its only hope is a bankruptcy filing. The twist in the tale is that Lampert, the company’s chief executive, main shareholder and a key lender through his hedge fund ESL Investments Inc., is unlikely to lose much money, even as other shareholders are wiped out. That’s because Lampert, again and again, has positioned himself to benefit from the moves required to keep Sears in business while shielding him from potential downside. Lampert came to the job with a view to making it work, but “when the attempt looked like it was going to fail, he switched into the hedge-fund role rather than the retail role,” said Chuck Tatelbaum, chairman of the creditors-rights practice group at the law firm Tripp Scott. Lampert recently proposed that his fund buy out the only remaining assets deemed to hold much value, namely the Kenmore brand, the Sears Home Improvement arm of the Sears Home Services division (SHIP) and the PartsDirect business. with much-needed liquidity without any further deterioration. “We also are of the view that the portfolio of Sears assets has substantial value that is not being reflected in the capital markets or being maximized under the current organizational structure,” said the letter. The board has just begun the formal process of exploring that sale. On Tuesday, ESL asked the board to reconsider limits placed on its ability to engage with potential partners in a deal after it said it had received “numerous” inquiries. The fund noted that there has been a significant increase in the price of Sears’s unsecured debt since ESL made the original offer on April 20, making debt repurchases or debt-for-equity exchanges less attractive. An examination of the tangled structure he has created through years of transactions reveals that Lampert wears other hats, too, including that of landlord for some of Sears’s locations. The Wall Street Journal, in a graphics-driven article published in December, outlined how the real-estate investment trust called Seritage was created in 2015 by a group that included Sears shareholders and ESL, which contributed about $3 billion. Seritage went on to acquire 266 properties from Sears and lease many of them back to the retailer. And Sears has received a number of loans over the years from ESL, its affiliates, the company’s pension plan, and other investors. In one case, a $1.25 billion loan was repaid after Sears sold its Craftsman brand. And Sears sold property to repay $101 million from another loan. Sears said ESL’s loans were reviewed by a board committee with outside advisers and offered terms that were more favorable than Sears could have found elsewhere, the Journal reported. The company has said it would sell other real estate to reduce debt and meet its pension obligations. But some experts say the seemingly endless transactions are just smoke and mirrors to mask the dire state of the underlying business. “It’s in the guise of trying to save this company, which could not be saved years ago and should have been put through a corporate reorganization,” said Elliot Lutzker, chairman of Davidoff Hutcher & Citron’s corporate law practice. If the board accepts the ESL offer, Lampert will take direct control of the most valuable pieces of the iconic retailer — and could, in fact, walk away having made money off the slow demise of a once-robust operation that stocked just about everything America needed. What’s more, Dreher has said he has “ZERO” — in capital letters — belief in a meaningful improvement at the suburban Chicago-based company despite Lampert’s assertions that, under the right conditions, Sears could still turn things around. Analysts suspect that the cash crunch at Sears is getting tighter, and the company may be eager to sell assets to raise the cash needed in order to make it to Christmas. Lately, rather than boosting its retail operation, it appears to be outsourcing it to Amazon.com Inc.
announcing a partnership with the e-commerce giant to sell and install tires after having previously begun selling Kenmore appliances and DieHard products via Amazon. “Instead of making a big push, placing eggs in the basket around these two brands [Sears and Kmart], they’ve incrementally invested in things like better online experience and better frequent shopper programs,” said AlixPartners’ Stenger. What’s required is a new image, new merchandise and a new bricks-and-mortar experience, which can be expensive. “Their operations aren’t worth much, but they’re sitting on a lot of real estate,” Stenger said. On Thursday, Sears posted a fiscal first-quarter loss and another steep decline in revenue. The full loss for the quarter came to $424 million, or $3.93 a share, after a profit of $245 million, or $2.29 a share, in the same period a year ago. Revenue dropped to $2.89 billion from $4.20 billion, with store closures accounting for about two-thirds of the decline. Same-store sales fell 11.9%, as Kmart store sales declined 9.5% and Sears store sales dropped 13.4%. On FactSet, Susquehanna’s Dreher is the only analyst offering forecasts, meaning there is no real consensus. (Sears’ number were sharply lower than his forecasts). For the year ending Feb. 3, 2018, revenue fell to $16.7 billion from $22.1 billion in the previous fiscal year. Revenue for fiscal 2014 was $31.2 billion, nearly twice as much. But eventually it’s likely there will be no more money or options. Time will simply have run out. from which Sears was dropped in 2012, has risen 13% and the Dow Jones Industrial Average, of which Sears was a component until 1999, is up 16%. 0 responses on "Yes, Sears is likely to collapse, but its biggest stakeholder will be just fine"